From the waters surrounding Australia comes a diverse bounty of unique taste sensations, which have seafood lovers salivating at the thought of lobster, prawns and oysters. Whether you reel in a fresh fish yourself to cook on the barbeque, or are lured in by offerings plated up every night at a local eatery – there’s no denying Aussies love their seafood. Take the journey from water to your plate and drop a line at some of our favs. Oysters served at The Fish Emporium, QLD. Overlook Cowes’ main stretch of beach from the balcony, or inside the dining room at Harry’s on the Esplanade on Philip Island. It’s much more than the stunning vista that keeps tables full – sunny service and mouth-watering seafood ensure Harry’s popularity, along with an ever-changing menu, grounded in European tradition. Cast your net over a bowl of crustacean seafood soup with julienne vegetables and crusty bread; then tackle a main of steamed black Portarlington mussels in a Riesling, chilli and garlic broth, or seared tiger prawns in yellow curry sauce, with pilaf rice. Earthy toned walls adorned with leadlight features and crisp white linen clothed tables await diners at Georgio’s Seafood and Steak House in Beaconsfield. Offering relaxed dining with a touch of class, this suavely decorated restaurant exudes a welcoming warmth as guests take a seat at dark timber settings and peruse a menu designed for all palates. Leave the dock with an entrée of scallops, pan seared and served in a creamy garlic sauce with jasmine rice; before diving into a main of a grilled seafood platter - prawns, scallops, calamari, fish, Moreton Bay bug, crab and mussels - served with chips and salad. 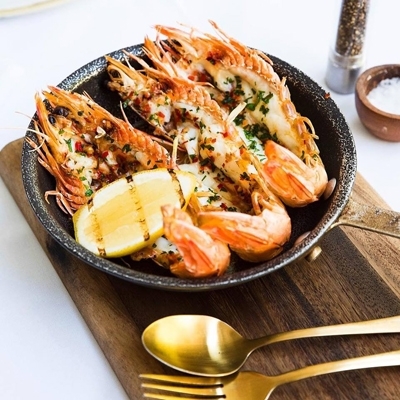 Arrive by boat via the canal, or by land and discover a seafood lover’s oasis at The Fish Emporium in the Capri on Via Roma precinct of the Gold Coast. A sophisticated marketplace setting offers a fresh retail section, takeaway fish and chips, sashimi bar, luxe private function room, oyster bar and a resident restaurant. Drop the anchor on a spacious desk with views of the city skyline over the water and cast a net for entrees like crispy soft-shell crab, cabbage and peanut slaw, chilli crab sauce and lime. Jig a signature main course of Tasmanian salmon, green pea mash, fennel and radish salad, chive crème and crackle; before cookies and ice cream. 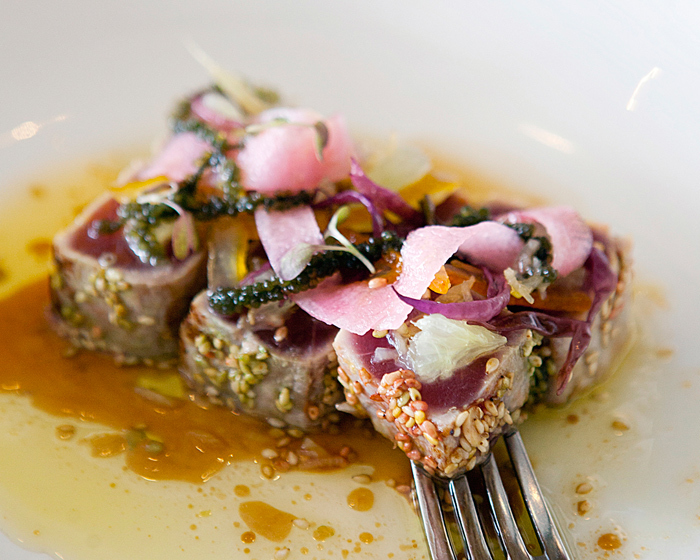 Tuna Tataki served at The Fish House, QLD. We actually have the recipe here. 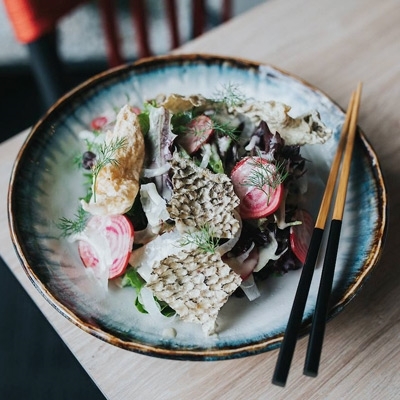 Situated directly adjacent to picturesque, Burleigh Heads beach, is Chef Hat awarded restaurant, The Fish House, making a splash for tourists and locals alike. An ambient and contemporary space has been styled with a coastal theme of timber seating, exposed brick walls, white table linens and bi-folding front windows, leading the eye to the sprawling ocean and crashing whitewash beyond. The Fish House have made themselves known for serving the freshest seafood available in a simplistic, Southern European inspired menu. Begin your culinary journey with an entrée of simple lemony fish soup with Kingfish and dill; while for the main affair, opt for the Cairn's coral trout, steamed with ginger and shallots and served with roasted potatoes, salad and greens. With white timber furnishings, latched windows and pendent lighting, Salsa Bar & Grill is reminiscent of a Queenslander beach house. Overlooking the beautiful waters of Port Douglas, expect a relaxed tropical experience with a Canefire Sunset cocktail in hand, while trolling a menu for starters like cuttlefish noodles with puffed quinoa and green mango. Set sail on a sensory main journey with Creole Jambalaya – rice, prawns, squid, red claw, smoked chicken and crocodile sausage; before baiting your sweet tooth with a dessert of Daintree Estate’s chocolate and Cointreau souffle and double chocolate ice cream. Dine alfresco under the glow of fairy lights at Arabella’s restaurant on Wharf Street in Port Douglas. Look out over the Coral Sea and the Daintree Mountains while sipping a cocktail at crisp white clothed tables or choose to sit at the leafy garden pool bar; while an upstairs function space with a balcony is ideal for special events and private parties. Wade into dishes like Red Emperor reef fish dumplings with chilli, ginger and soy as a casting point; angling for a larger plate of grilled South Australian octopus, potato, capsicum, chilli, rosella, pomelo and coriander – with a side of steamed seasonal vegetables and butter. 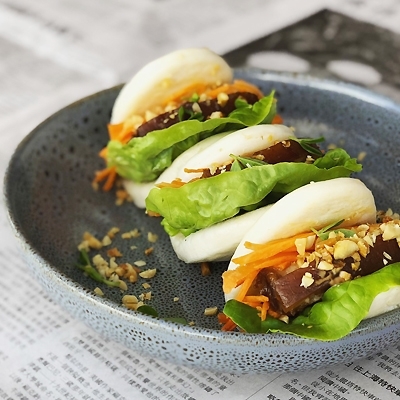 Embracing a concept of leisurely dining, sharing good food, wine and times in pristine surrounds, Springbay Seafood and Wine Bar in Orford delivers innovative seafood dishes with an Asian twist. Take in stunning water views from almost every seat, as a full glass frontage brings the outdoors inside, while an open kitchen allows glimpses of hard-working Chefs cooking with fresh, local produce. Channel your inner seafood self with a sharing plate of Asian tempura flake fillets, with Vietnamese mint, nori crisps and chipotle mayo; or perhaps twirl a fork around seafood fettuccine, full of prawns, scallops, calamari, fish, tomato, white wine, tarragon butter, lemon and fresh basil. Salmon starter served at Hallams Waterfront Restaurant, TAS. Reconstructed from an assortment of Tasmanian timbers, Hallams Waterfront Restaurant in Launceston is fitting to the wholesome, traditionally homey feel that resonates throughout the Apple Isle. The elevated cottage design houses a brick open fireplace that roars to life during Winter months, while true to name Hallams specialises in freshly caught seafood. Fall hook, line and sinker for pan fried salmon, chorizo spiced pork and potatoes, olives and caramelised onion; or opt for grilled blue eye trevalla, forest mushroom and adzuki bean braise, mushroom consommé, wombok crisps and katsuobushi salt. 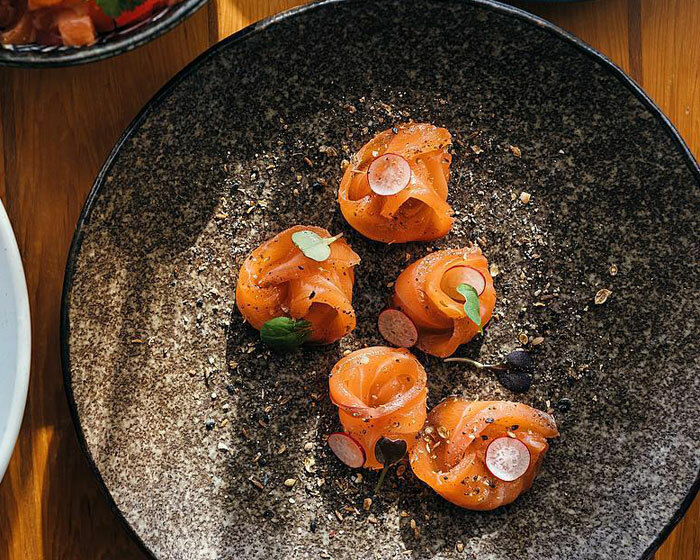 A quaint destination offering elegant dining in moody surrounds of golden hued lighting and understated simplicity, Quoi Dining in Baulkham Hills ebbs and flows with a tide of tantalising tastes. Sydneysiders float in to experience seafood delights at this restaurant, moored in the rapidly expanding Bella Vista dining precinct. 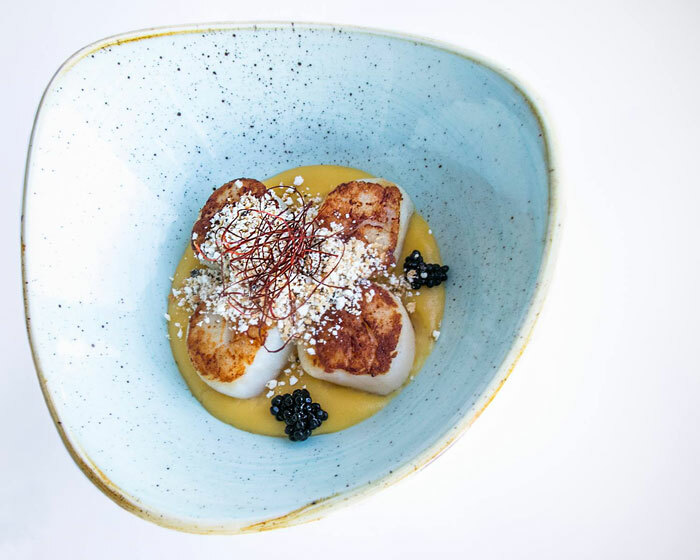 Catch an appetiser of champagne Mornay oysters, or diver scallop with artichoke, radish and potato; or snag a main of wild barramundi, smoked mussel, confit potato, house bread and whipped ricotta. Fishermen with a sweet tooth may opt for desserts like chocolate ganache, hazelnut and cherries. 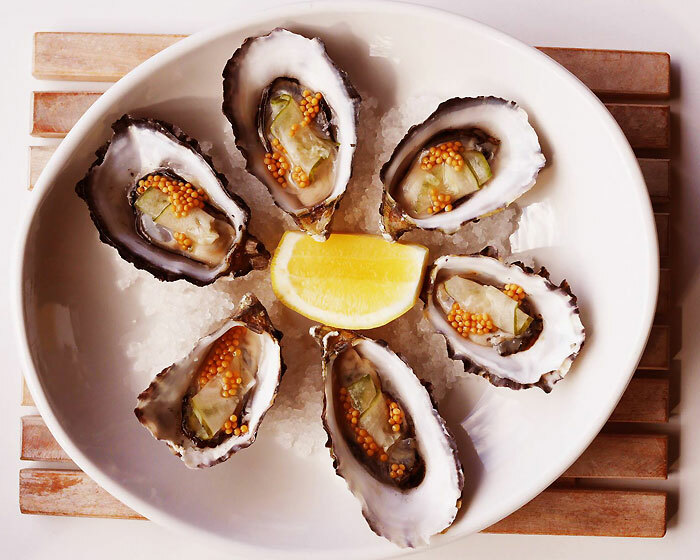 Throw out a line at Wheelers Seafood Restaurant in Merimbula and hook a dining experience full of fresh oysters, straight from the farm. Wheelers carefully presents dishes with a signature touch of delicacy, reflected in the flavours of each meal and a seasonally changing menu, showcasing local produce. Net a dozen oysters, nurtured and grown on Merimbula Lake, topped with Prosecco foam and salmon caviar; or perhaps kingfish carpaccio, cucumber, pickled mushroom, citrus crème fraiche and nori, to start. Those with larger appetites can share a signature hot and cold seafood platter for two, with crusty bread. Seared scallops served at Omeros on the Beach, NSW. Dazzling panoramic views over Botany Bay as the sunset blends with the waterline, keep seafood lovers migrating back to Omeros on the Beach in Ramsgate. Indulge in elegant a la carte dining surrounded by an interior of crisp white, floor to ceiling glass windows and navy nautical accents. Channel your inner seafood desires with steaming bowls of crème of snapper soup, topped with parsley dust and garlic croutons; or salt and Szechuan pepper fried squid, served with pickled ginger mayo. Lobster lovers can reel in a whole crustacean with thermidor sauce, beer battered chips and cabbage salad. Lingering lunches and casual Summer seafood dinners lure locals and visitors alike to Red Cray on Beaufort in Mt Lawley. This relaxed restaurant combines modern scenery with a casual ambiance, setting the tone for specialty crayfish temptations drizzled with lashings of Mornay sauce and served with beetroot and pumpkin salad and fries. Twice cooked swordfish – cherry wood smoked and then seared – paired with grilled tomato, sweet potato puree and balsamic glaze, may float your boat; or perhaps share a Red Clay platter, with grilled and battered fish, Moreton Bay bug, grilled scallops, prawn skewers, fried calamari, chilli mussels, chips, Greek salad, tartar and White Sambuca mayonnaise. Haven’t hooked your restaurant of choice yet? Click here for more succulent seafood options around the country.